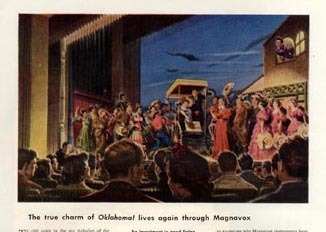 The Visual Telling of Stiories - OKLAHOMA! Teaching Session - The Dream Ballets in Carousel (1956) and Oklahoma (1955). "Sentiment has never been unpopular except with a few sick persons who are made sick by the sight of a child, a glimpse of a wedding, or the thought of a happy home." Oscar Hammerstein in Babington and Evans beneath. "Given the models of the Berkeley spectacle and the Minelli-Freed Unit dream sequence, one can speak of two forms which multiple diagesis takes in the musical. Some musicals carefully delineate dream and reality, narrative and spectacle, whereas others attempt to blend dream and reality, show and story. Yet this is ultimately false... For in the musical the show is the dream and the dream is the show. The Hollywood musical offers itself as the spectator's dream, the spectator's show." Jane Feuer below. 2. CAROUSEL ; 1956 128m, directed by Henry King written by Phoebe Ephron from Molnar's play Liliom , music and lyrics by Rogers and Hammerstein, choreography by Agnes de Mille reset by Rod Alexander. 3. 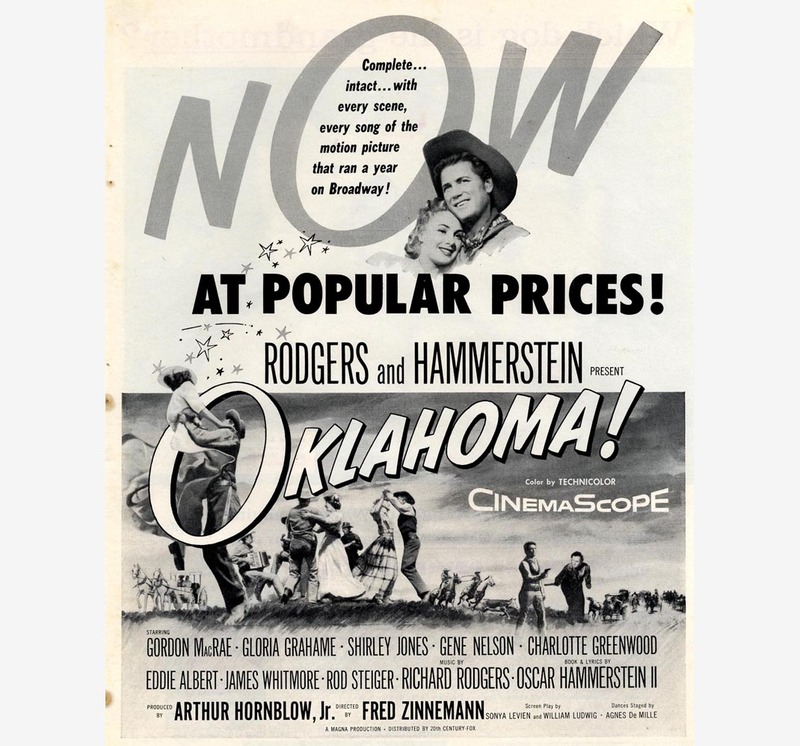 OKLAHOMA ; 1955, 143 M, directed by Fred Zinneman, book Oscar Hammerstein, from Green Grow the Rushes by Lynn Riggs, songs by Richard Rogers, production design by Oliver Smith, Technicolor and Todd-AO; choreography by Agnes de Mille from the stage show. "Oliver Smith's production design achieves unity by using backdrops showing infinite fields of wheat beneath lowering prairie skies and Joseph Wright's art direction keeps this constantly present by creating skeleton sets that prevent any shift in locale from doing violence to the overall mood. Keogh Gleason's set decorations, selecting precisely the same prop for each second of the ballet, sets a standard for members of his craft to shoot at." Hollywood Reporter quoted in Barsaq beneath. 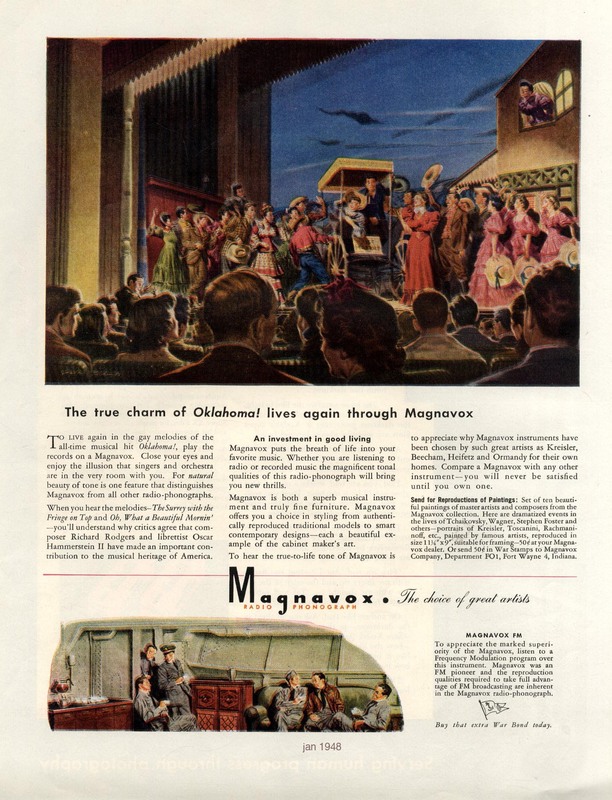 The imagery of Oklahoma, the Regionalist School, Grant Wood and Thomas Hart Benton. The need to create an indigenous art form in painting, ballet and music. 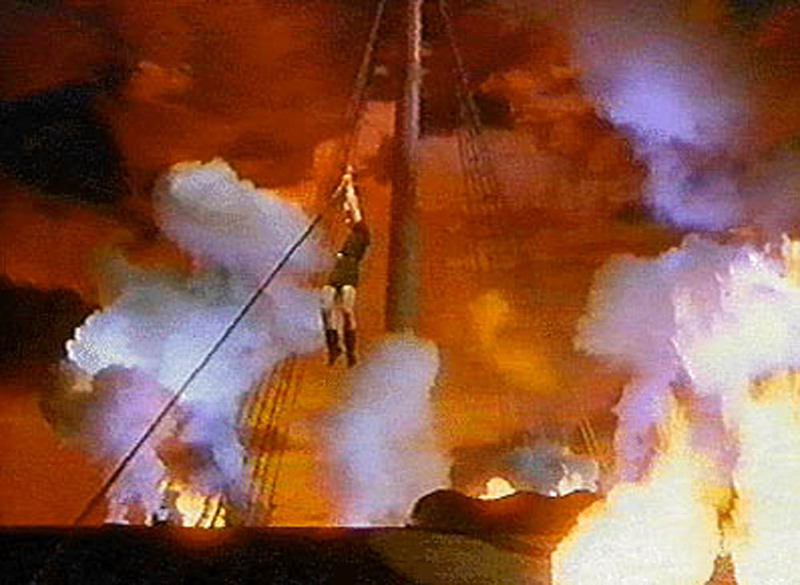 The notorious Dream Ballet Sequence banned in some American States. After an initial statement in balletic form of the sexual tensions in her relationships, the heroine stumbles into a Den of Vice presided over by Judd Fry and female dancers who in costume and dance are inspired by the designer's response to Lautrec's prints. The interior is lit by flares of gas and a flight of stairs leads to a blood red corridor. Analyse the story presented by the dream within the overall narrative context of the film.